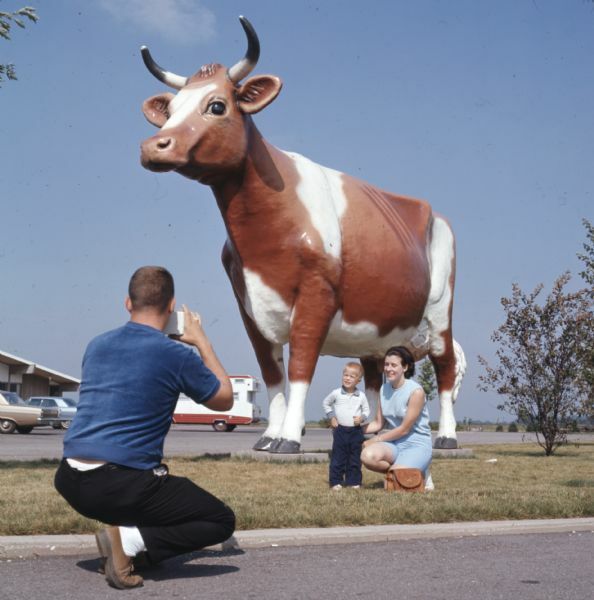 Rear view of a man kneeling on the ground while taking a photograph of his wife and son who are posing in front of a large fiberglass statue of a brown and white cow. The woman is kneeling next to the boy who is standing. Automobiles are sitting in the parking lot in the background. Bessie the Cow was purchased in 1966 and dedicated at The Janesville Oasis property on Milton Avenue.